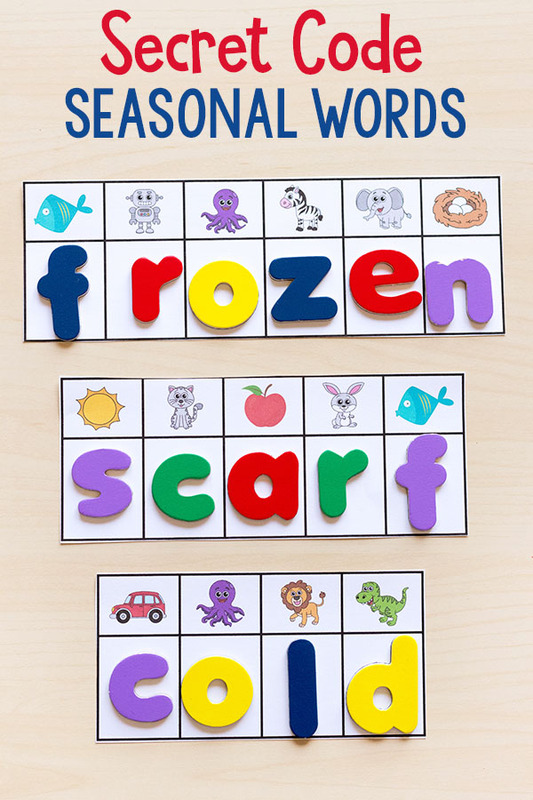 This secret code seasonal words activity is a fun and engaging way for kids to build words and practice identifying beginning sounds. 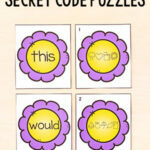 My son loves secret code word activities, so I thought it would be neat to make some that we can do throughout the different seasons. They are super simple to set up. Just print and cut around the outside of each strip. That’s it! Pair them with magnetic letters and you are good to go. 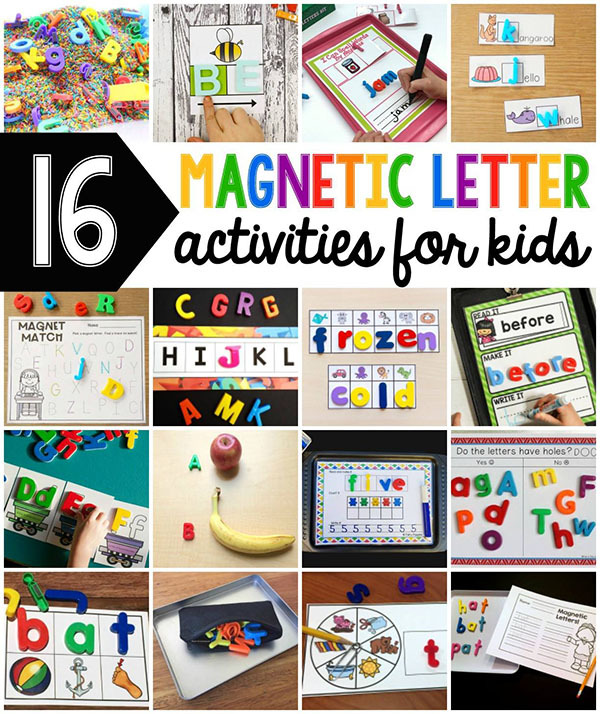 Looking for more magnetic letter activities? 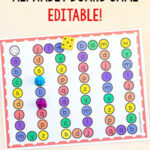 Check out these name printables or these word family mats! 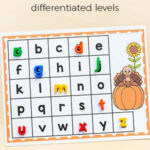 This pack includes 10 seasonal words for each of the four seasons. So 40 words in all. The longest word is 7 letters long and the shortest word is 3 letters long. This would be an excellent activity to pull out and do a few times throughout each season. It would also be a great addition to your literacy centers. 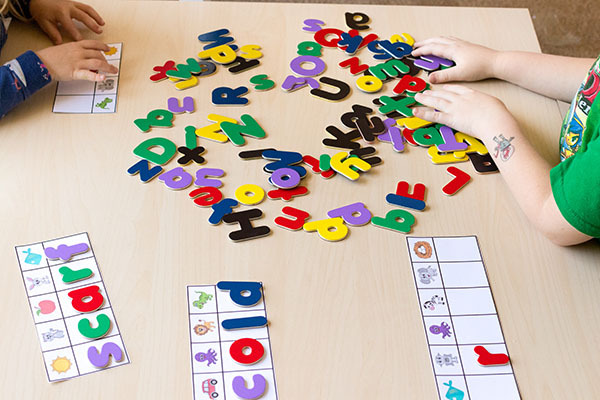 One way I like to use them is to dump out the container of letter magnets on a table and put the secret code seasonal word strips on the table too. Then multiple children can all work around the table at the same time. If you are doing this with multiple children, you will want to make sure you have several instances of each letter. 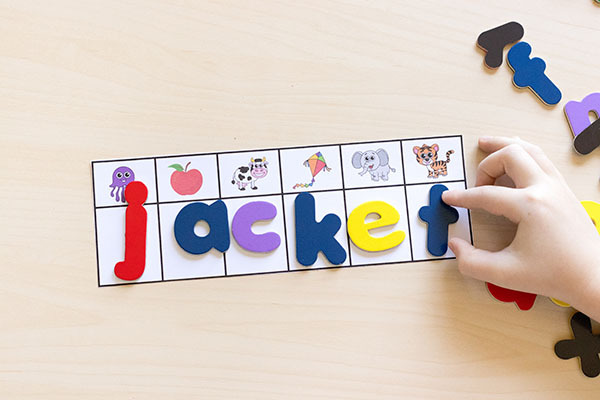 I really love the set of letter magnets that we use because they look very similar to the way we write the letters in our handwriting curriculum. 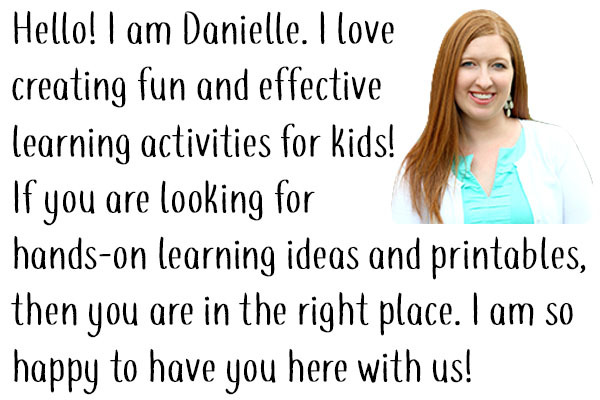 Letter magnets – we have these, but I plan to get these soon! 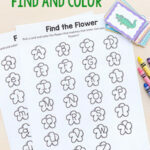 *For extra durability and use with multiple children, print on cardstock and laminate. 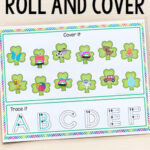 Simply print the strips you would like to use and laminate, if you would like. Grab some letter magnets or alphabet beads to use with the strips. 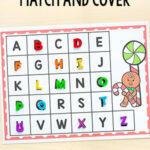 To do this secret code seasonal words activity, children will simply look at each picture on the strip and determine what letter that object begins with. For example, the first thing on one of the strips is a fish. They will say the word fish out loud and determine that the word fish begins with the letter f.
Then they will look through the letter magnets to find the letter f and place it in the space below the fish. This continues until all of the letters in the word are found and added to the strip. For extra writing practice, you could have them write each word they make on a sheet of paper. 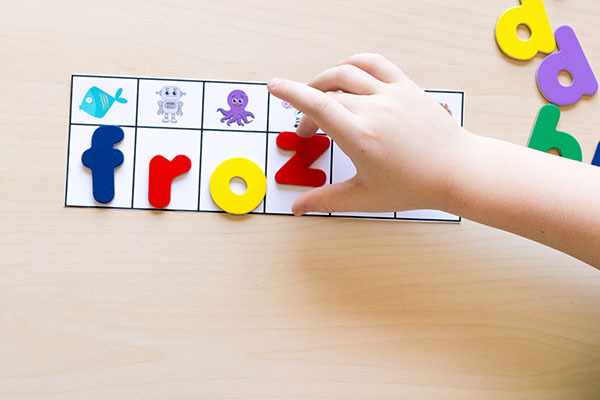 Check out these other fantastic activities that use letter magnets!